Tellworks Communications has signed a new lease for 722.7k sf of industrial space at Park 20/360 in Arlington, TX. The firm will fully occupy Building 1, located at 4101 Research Blvd, within the industrial park. 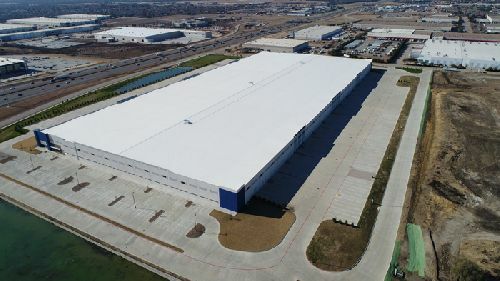 “Tellworks operates facilities in 42 states, but the new warehouse in Arlington is our first super hub,” said Christo Makrides, Tellworks Managing Partner. “This facility will allow Tellworks to better service our telecommunication customers." Transwestern’s John Brewer and Joe Rudd represented the landlord, a partnership between Ridge and Invesco Real Estate, in the transaction. CBRE’s Ryan Keiser repped the tenant. •	Baker Distributing Co., a wholesale HVAC supplier, leased 83.6k sf in Building 5. Jordan Christensen with Tenant Real Estate Advisors represented Baker in the transaction. •	OmniSource Inc, a regional wholesale tire distributor, leased 71.5k sf in Building 3. Mark Scott of Foundry Commercial and Barrett Bufkin at esrp represented OmniSource. •	Summit Midstream Partners, an energy infrastructure company, leased 23.6k sf in Building 4 in a direct transaction with Ridge. Delivery of the four buildings in Phase 1 at Park 20/360 began in November 2017 and finalized in January 2018, with leases already signed for 71% of its 1.26 msf. Phase 2 construction is imminent and will provide an additional 360k sf across four buildings. Park 20/360 is a 1.6 msf industrial park on a 119-acre campus at the northwest corner of Interstate 20 and State Highway 360. Located inside a Triple Freeport Tax Exemption zone and within the Great Southwest Industrial District, the property lends itself to local, regional and national users. The property is approximately 11 miles south of the Dallas-Fort Worth International Airport and is in close proximity to the Arlington Highlands Lifestyle Center, AT&T Stadium and Globe Life Park in Arlington.